Give your gift an extra punch with this glass from the Barbuzzo. 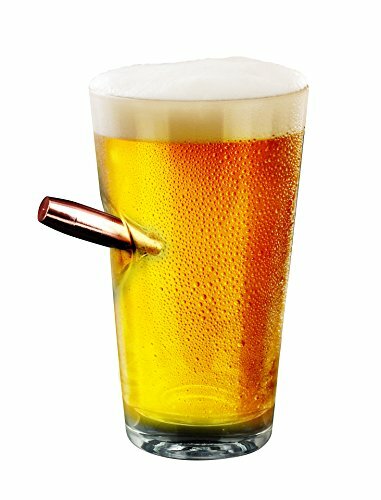 It will not only make a great addition to the bar, it’s also a fully functional liquor drinking glass that literally “takes the bullet”. 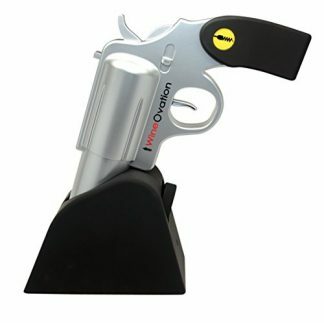 It’s perfect for a gun enthusiast friend or family member who you know will appreciate the humor of this gift item. Care to feel like some awesome action movie star? 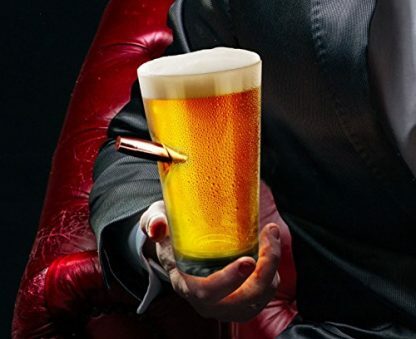 One who stars on those slow motion scenes where the lead actor cheats death thanks to a handy drink that blocks the bullet? 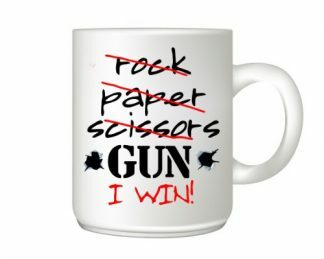 Or perhaps you are bored with the plain looking glassware that you own and are looking to add some manly points in your house? 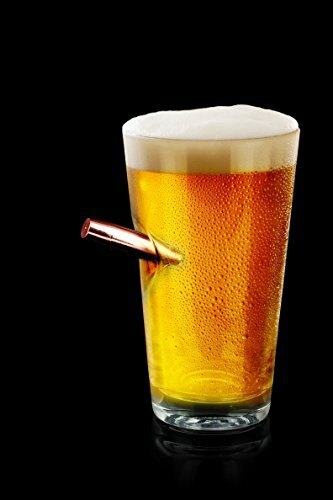 Well we have found the glassware that would take a bullet for you, at any occasion, and with any drinks. 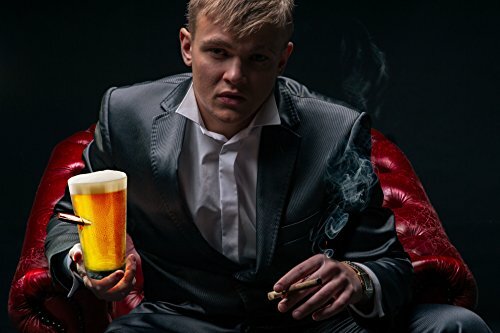 With a company policy that says “Life is too short to be serious”, Barbuzzo has created the product to embody that policy to a tee. 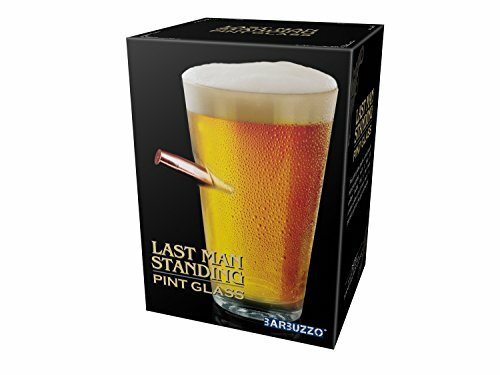 These Last Man Standing Bullet Whiskey and Beer Pint Glasses are sure to pack a real punch! 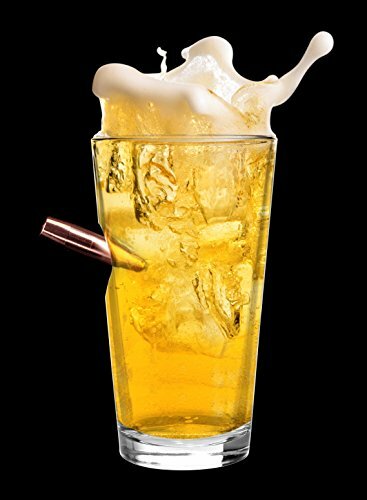 It features a durable hand blown whiskey or pint glass with a hand sculpted fake 50 caliber bullet stuck on its side. 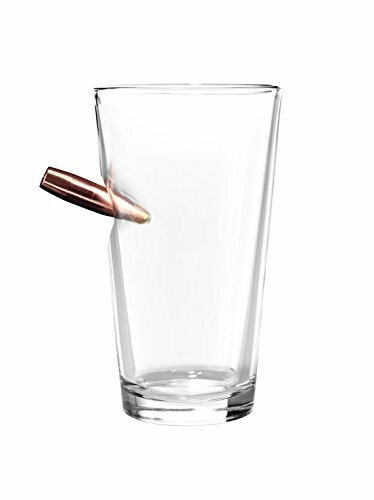 The design perfectly captures the moment of impact, when a bullet hits the glass. 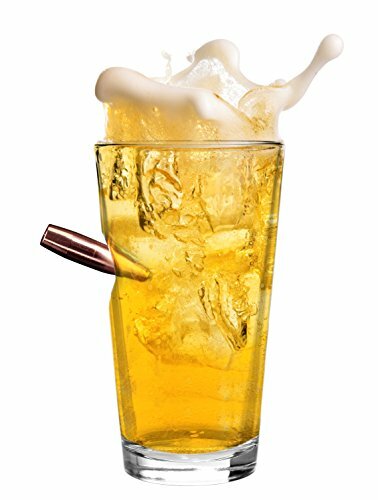 It is a great glassware to use, and this epic piece of glass is a perfect conversation starter to any party and gathering. 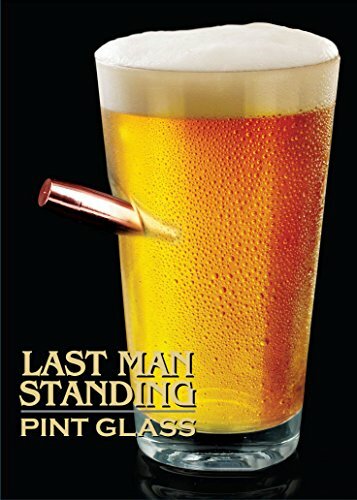 These Last Man Standing Bullet glasses are the perfect glass to add to any man cave, and it is a perfect accessory to give to any dad, uncle, brother, or any other gun enthusiast to add to their non gun but still related to their greatest hobby collection. 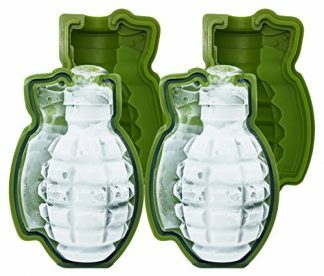 If you are looking for a gift to any man or woman in uniform, this is a brilliant way TO PROTECT AND TO SERVE.. Their drinks! Now that will surely earn you a great time and hearty laughs.